ATD PHL Greater Philadelphia Chapter - Join us and event Partner PSPS for Five Workplace Predictions for the Next Five Years Leading Into 2020 with Jeanne Meister! Join us and event Partner PSPS for Five Workplace Predictions for the Next Five Years Leading Into 2020 with Jeanne Meister! How will the workplace in 2020 be different than it is today? In 2010, Jeanne Meister boldly made 20 predictions for the 2020 workplace, one envisioned as intensely personalized, collaborative and connected. 2020 is just 6 short years away and many of the predictions she outlined in the bestselling book, The 2020 Workplace: How Innovative Companies Attract, Develop & Keep Tomorrow’s Workforce Today, have already happened. Jeanne will share results of latest research as well as her five predictions leading into 2020 in an engaging hour leaving plenty of time for you to challenge, contribute and discuss what’s next in talent acquisition, learning & leadership development & HR . 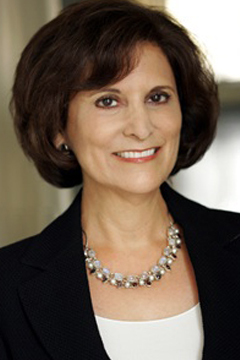 Jeanne Meister is a consultant, speaker and author on the topic of the future workplace. Jeanne is Partner of Future Workplace, a firm dedicated to assisting organizations in re-thinking, re-imagining and re-inventing new ways of working and learning. Jeanne is the recipient of the Distinguished Contribution in Workplace Learning Award by the American Society of Training & Development. She is the author of three books, including The 2020 Workplace: How Innovative Companies Attract, Develop & Keep Tomorrow’s Employees Today, as well as a monthly contributor to Forbes.com. Since the publication of The 2020 Workplace, Jeanne has launched the 2020 Workplace Network, a consortium of 50 organizations who share “next” practices on preparing for the 2020 workplace.